Welcome to "A Perfect Stay," an exceptional Mountain Park Resort 5-bedroom Pigeon Forge cabin rental with swimming pool access! 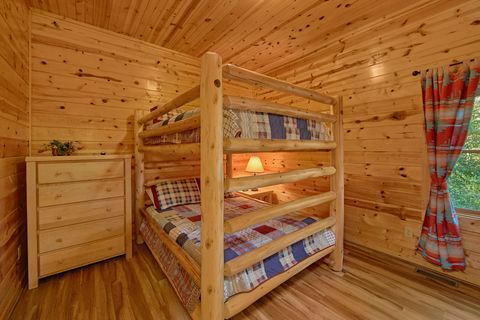 Here, guests can enjoy plenty of excellent amenities on of each this cabin's handsome, spacious 3-stories! 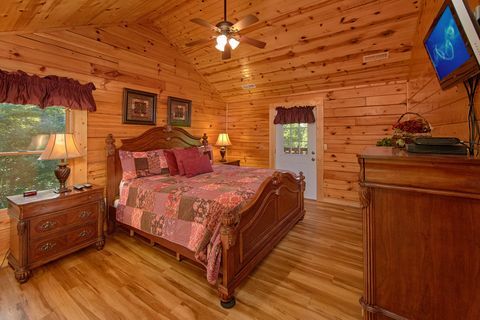 Perfect for families and large groups, "A Perfect Stay" can accommodate up to 20 guests comfortably. 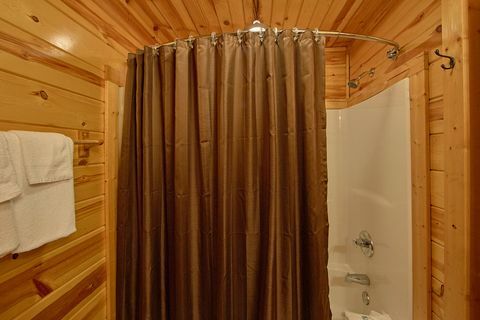 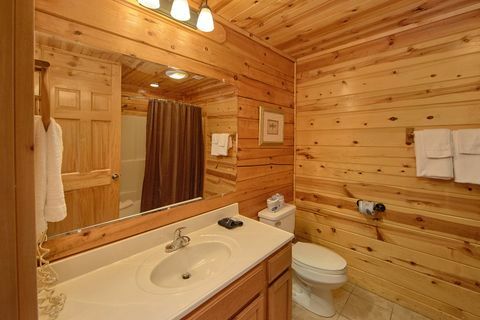 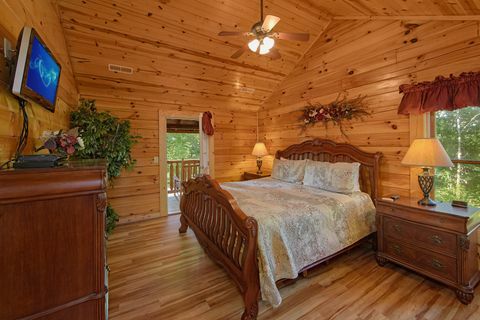 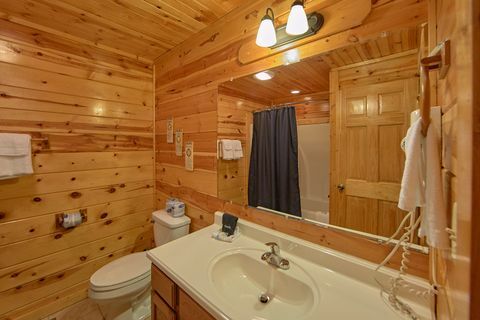 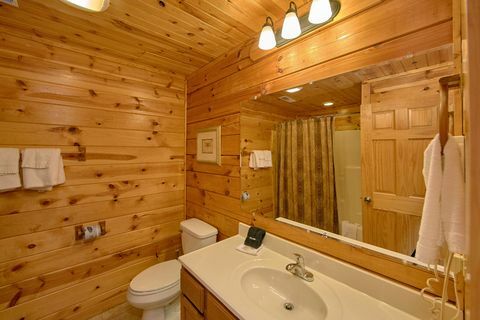 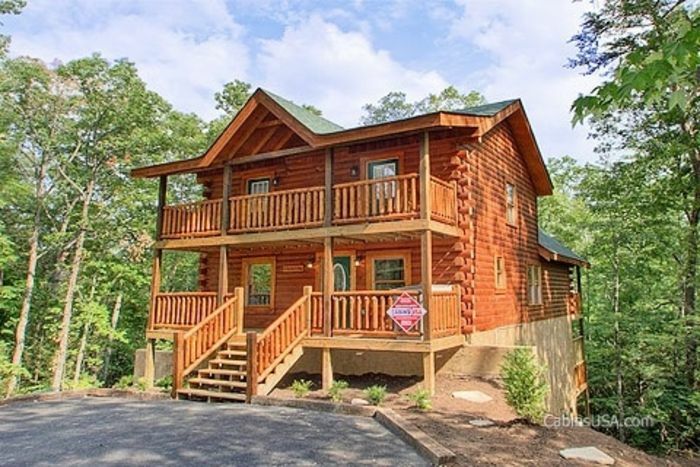 Each visitor to this Pigeon Forge cabin rental can lavish themselves in one of the 5 bedrooms, which each comes complete with its own private bathroom. 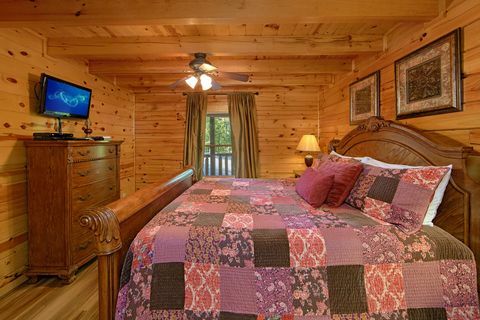 Several of the bedrooms have televisions for your own personal entertainment. 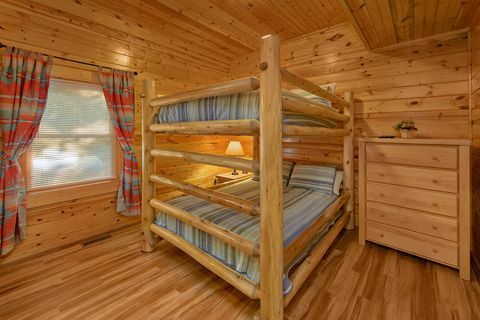 Sleeping accommodations for this cabin include 3 king beds, 2 queen bunk beds, and several very comfortable sleeper sofas. 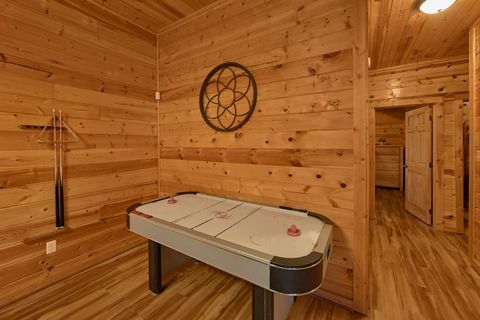 But there is plenty of entertainment to be had at your cabin getaway as well. 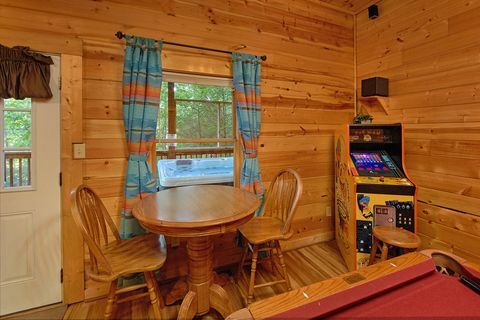 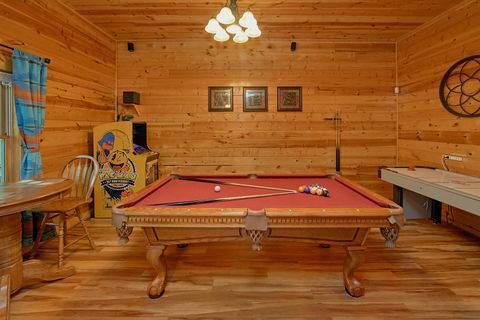 This cabin rental with swimming pool access is guaranteed to deliver endless hours of entertainment with its game room complete with stereo, pool table, air hockey table, and Ms. Pac-man video arcade game! 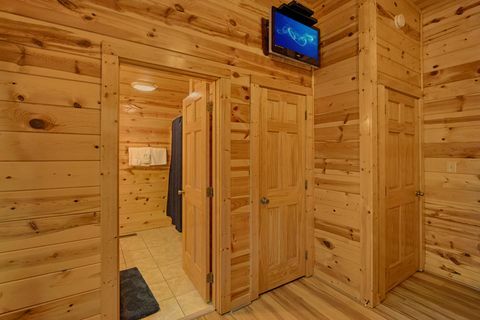 Better yet, this rental offers two home theater systems complete with 70" televisions, DVD players, and surround sound. 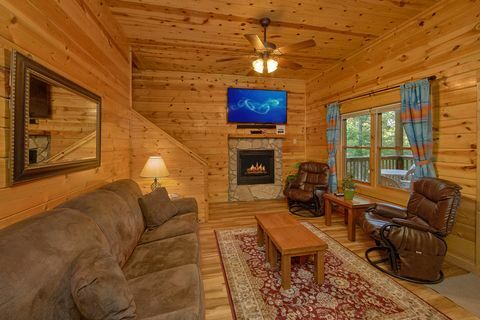 You can watch your favorite movies or shows on the big screen in the living room or game room for a memorable movie night in the mountains. 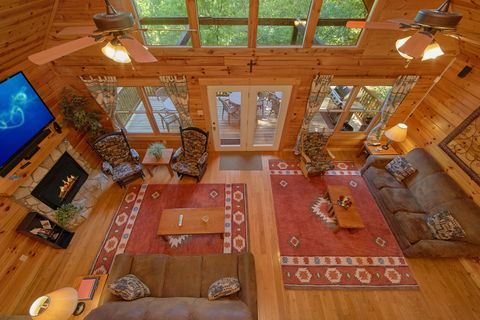 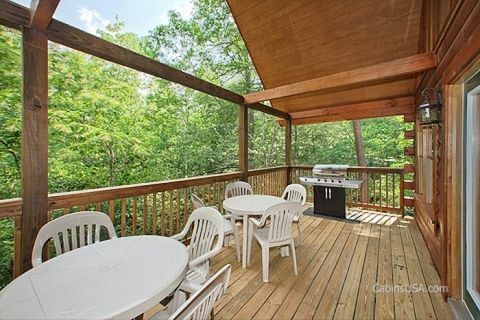 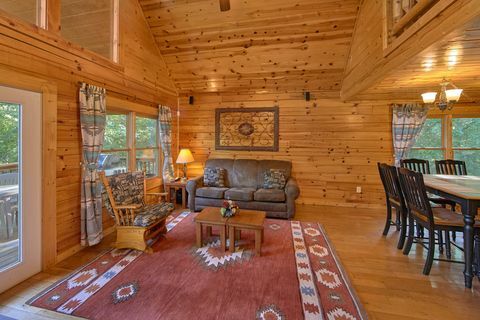 This 5-bedroom Pigeon Forge cabin rental's 2 living rooms provide guests with plenty of room to socialize and enjoy the flat-screen television and fireplace that each great space offers. 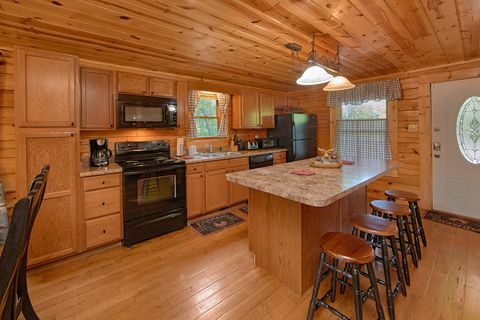 The cabin's fully equipped kitchen and gas grill are well suited for the preparation of meals ranging from quick snacks to 5-course meals. 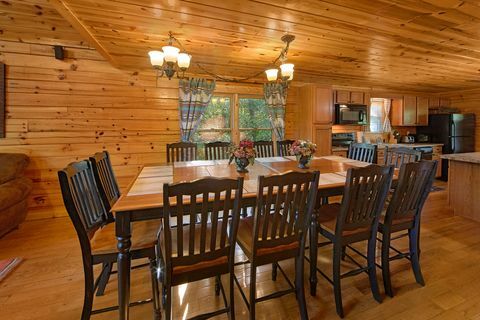 The large dining table seats 12 guests, and 4 more guests can sit at the breakfast bar for a family meal to remember. 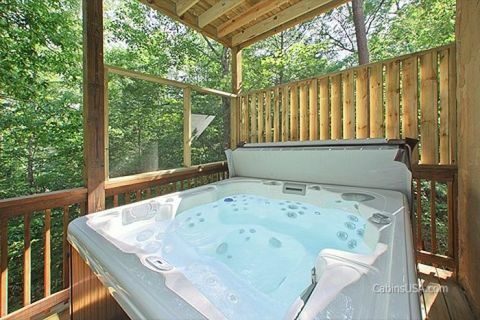 Enjoy the great outdoors from the cabin's 4 covered decks and relax in the warm jetted waters of the large, LED-lit hot tub, which is open year-round. 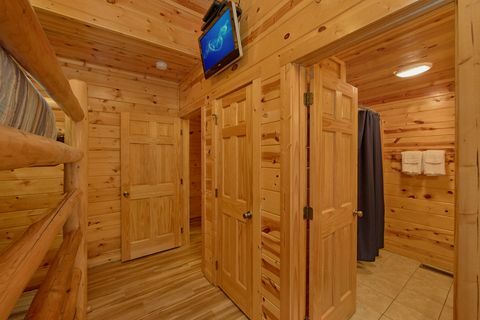 In the summer, make sure to take advantage of Mountain Park Resort's swimming pool! 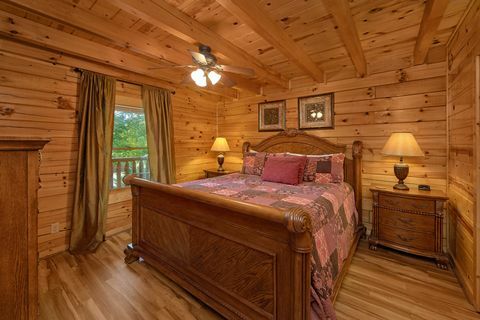 Start making plans for one of the most memorable Pigeon Forge Smoky Mountain vacations in Mountain Park Resort! 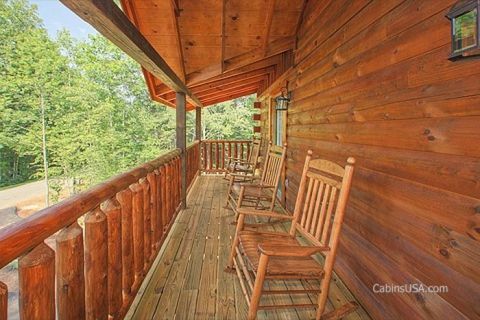 Book this terrific 5-bedroom Pigeon Forge cabin rental online with Cabins USA and get an immediate Cabin Discount!